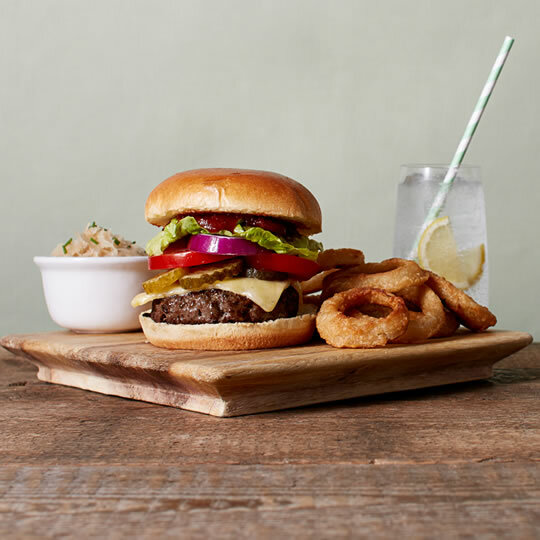 Beef, chicken, pork, lamb, veggie… these days there’s so much more choice in the world of burgers; and just like with any meal, different drinks will suit different flavours. We asked three burger fans on our team – Artur Lezny, Champagne Cleary and Glenn Funga – for their advice. Read on to reveal old favourites, as well as some intriguing new combinations. These are just a few suggestions to get you inspired: why not comment below and tell us your favourite burger-and-beverage pairing? This entry was posted in Talking Ocado and tagged burgers, drinks, food and drink, Hamburger, National Burger Day by Ocado. Bookmark the permalink.